Our fantastically indulgent yet nutritious fruit palm trees were new to Kelly’s Occasions in 2008. They have been extremely popular over the years and have continued to make a stunning feature at any wedding, party, business event or ceremony. The fruit palms are a healthy yet fun alternative to having to provide your guests with a selection of desserts.  It allows not only the adults, but the children too, to help themselves to the wide selection of fruit that they can either dip into chocolate if you have hired one of our chocolate fountains or to have just on its own. Your fruit palm will be made up of about 500 pieces of freshly prepared fruit and will stand approx. 6ft tall (on a table). You can have it on its own or as a centrepiece on the buffet table. Our mixed Fruit Palms consist of bite-sized pieces of Strawberries, Pineapple, Melon, Kiwi, Grapes, Coconut, Apple, Banana or anything else you may like. We source our fruit responsibly so can place orders tailored to suit your full requirements, provided you have given us exact numbers in plenty of time prior to your celebration. If you have hired a chocolate fountain, then maybe you would like a fruit palm made up entirely of strawberries or another fruit of your choice. The fruit can then simply be picked off the tree and dipped into the warm tempting flowing Chocolate from the fountain. Choose from milk, dark or white chocolate. If you want to really want to amaze your guests with something a bit different, as well as having a healthy addition to your buffet, then a Fruit Palm Tree is a must-have for your party. You could always be more adventurous and have a fruit palm on one side of the table and have a sweet palm on the other. We just substitute the fruit with mouth-watering sweets. Options include those such as a Marshmallow selection, Jelly Babies, Soft Fudge, Sweet bananas etc. These will be a big hit with any children and will keep them happy throughout the day. The need to make up goody bags are no longer needed at birthday parties if you have one or more of our sweet palms. The children can help themselves to the sweets they actually like instead of getting a bag full of sweets that they do not like. You could also add some retro sweets and candy to the table to add that extra touch. If you would like to know more about our fruit palm trees or any of the other services we provide, then please contact us. For an additional £40, you can choose from a wide selection of mouth-watering dips, which would include Yoghurts, Cream, Chocolate and Crème Fresh. Palms ordered on their own will incur a small delivery charge.